Hey there! It’s Naomi here, back for another week of rapid renovation tips. I’ve talked about the pitfalls, risks and dangers surrounding renovating for profit in some of my earlier blogs. Although scary, it’s important to know them for what they are, so that you can take measures to avoid them. You wouldn’t drive without headlights, would you? Same goes with renovating – you wouldn’t and shouldn’t renovate without a clear view of the path ahead. In this case, what you don’t know CAN hurt you, and it’s best to come to the renovating game prepared. As I’ve mentioned before, renovating for wealth isn’t something you jump into lightly. There are many pitfalls, risks and dangers, and without the proper knowledge and preparation, you will be ultimately setting yourself up on a path of disappointment and potentially capital loss. 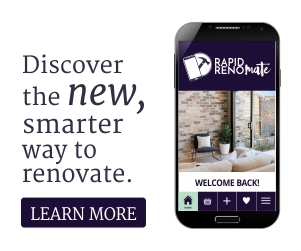 But the question now is, how do you go about taking the strategies of my rapid renovation formula and applying them to your particular scenario? Well first you need to figure out what your personal definition of wealth is. Remember I mentioned that no two people are the same when it comes to why the choose to renovate? It’s exactly the same thing when it comes to wealth. Wealth is more than just money. And that’s exactly what today is all about; figuring out what wealth means to you will help you figure out how to personalise the tips in my formula to get you where you need to (and want to) be. What exactly is return on investment? This fancy term is actually pretty simply. Return on investment, or ROI, is used for calculating the success at the end of your renovation project. In other words, when the dust has settled and the contracts have been exchanged, what are you left with? To answer this, we first need to answer the question: what is success? What is meant by the word “success” when we speak about ROI? Just like with everything else, your definition of success will be different from mine, or your neighbour’s, or perhaps even your partner’s. What success is to us, and the way we measure our success is something personal. No dictionary or person can tell us otherwise. Generally, when we talk about ROI with regard to our renovation project, it will involve some measure of money. Unless the project is purely for personal enjoyment, then money will always be a factor – hence why it’s calling “renovating for profit”, with the keyword here being “profit”. But going beyond just the dollar aspect of it, ROI is also about the “wealth” we get when we finish a renovation project. Now I mentioned earlier that wealth was more than just money or profit. Again, wealth has a unique meaning to each of us, and nobody can tell you otherwise. Whatever your definition, I would say there are three main categories that that definition will fall under. The first definition of wealth is health. Arguably the most important of the three, being healthy is all about the physical, mental and spiritual well-being. There is no point to money when there is no health to enjoy it. Will completing that renovation project mean you are going to be able to get more exercise done in the day? Would the concept of renovating for profit allow you to be the best and healthiest version of you that you can be? 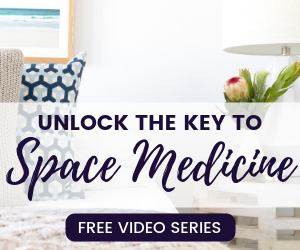 Are you renovating to create a lifestyle that will give you the opportunity to be able to be more active with a healthier diet and positive mind set? If the answer is yes to all or any of the above, then the overarching goal of your renovation is obviously for your health and wellbeing. The second definition of wealth involves time. One of the most elusive and sought after things in life, time. No one ever seems to have enough, which is why it is probably more important than straight dollars. Because what’s the point of having all that money if you never have any time to use it? So is it time that you are really after? Is the end goal of your renovation project to free up your time and provide you with the flexibility to work the hours you want to work? 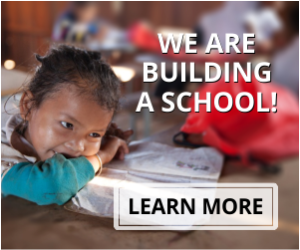 Will renovating for profit allow you to work around school hours and be home for your kids? Or is it more time for travel and exploring the wonders of the world what you’re after? Time might be your definition of success and the “wealth” that awaits you on the other side of your renovation project. Seemingly the bane of our existence, fittingly it is also the third and final thing I use to define “wealth”. As they say, money makes the world go around – and that holds true to the extent that to send your kids to a private school or upgrade to a nicer house, you need money. 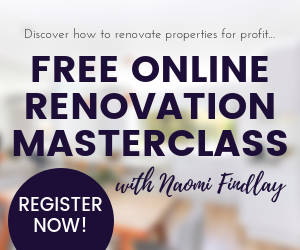 Are you looking to renovate for profit to reach financial freedom? Is it an escape from the rate race that you’re after? Or do you want to finally start your own business, or live in a suburb closer to good schools for your kids? Maybe you’re looking to upgrade the family car or finally realise your true love of deep sea fishing on your own boat? Whatever your goal here, it can be achieved with wealth from your renovation project. Also, keep in mind that these three definitions of wealth are not exclusive of one another. Most people’s definitions of wealth will be a mixture of the above. And that is the nature of these things; having enough money will generally allow for a more flexible working lifestyle – and this in turn will open up the opportunity for you to spend more time on family, travel and looking after your health and wellbeing. Whatever your wealth motivation is, the first step to renovating for wealth is to arm yourself with the proper tools, checklists and education; this is where the Rapid Renovation Formula (RRF) comes in. Whether it be a part-time income stream or a full-time career, by studying the RRF you are committing yourself to the serious business of renovating for wealth. The RRF cannot help you choose to commit to this goal, that is a choice you must make on your own. 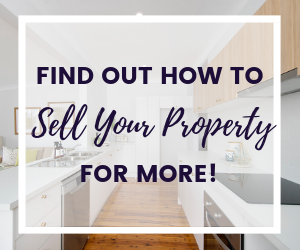 What the RRF can do (and does), is equip you with all the necessary tools, checklists, guidelines and support needed to stay on track and see your goals through from property acquisition to renovation and finally to that golden return on investment.